Wednesday, June 10—After a quick coffee stop at the McDonald’s that happened to be across the road from our hotel in Mysore—most of us couldn’t tolerate more Indian food for breakfast at this point—we drove to Kabini River Lodge, a wildlife resort that is just outside Nagarhole National Park. Professor Selvin thought this would be a great way to end our journey, and we couldn’t agree more. We arrived a little too early for our 12 p.m. check-in, so we went for a stroll around the campus. We found camouflage-dressed staff and many species of trees before we encountered a huge tree with tire swings hanging from its strong branches. All I’m going to say is, suddenly, it felt as though we had all turned 7 years old again. After one of the staff members gave us very friendly instructions and our programs, we went for a buffet lunch at the Golghar, a round, open dining space with palms for a ceiling. From this place we could see the clear water of the reservoir formed in 1974 when the Kabini River dam was built and the resort’s boats, docked along its bank. We also saw monkeys, and one of them was very protective of her baby. At 3:30 p.m., we met again at the Golghar for some tea and coffee—frequent offerings of small cups of hot, sweet drinks is a fascinating Indian tradition—and we got ready to drive into Nagarhole for a three-hour safari tour. 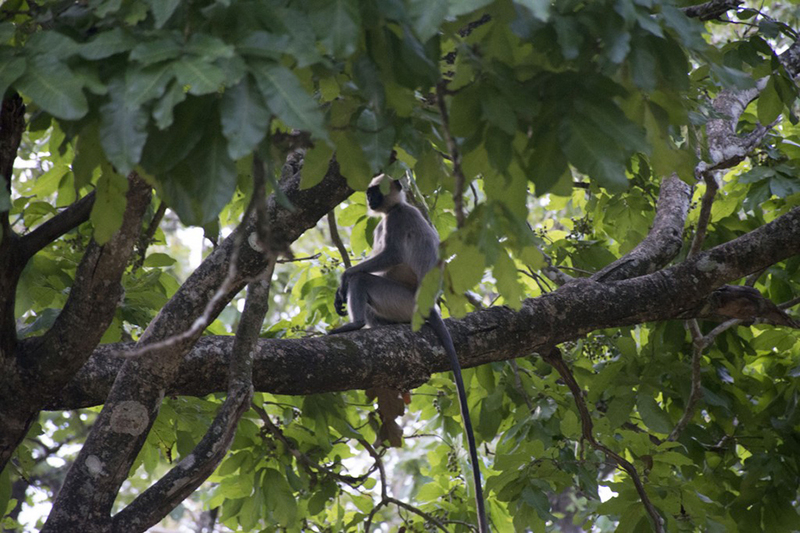 We saw two kinds of deer, many species of birds, two kinds of monkeys—and ELEPHANTS! Returning from the safari, we found ourselves energized yet exhausted. Some of us–that would be Professor Selvin–took a trip to the resort’s wellness center for a massage. Others walked around the premises of the resort and got ready for dinner. To our surprise, the kitchen staff had prepared a special meal for us Americans. They made french fries and fried chicken for us! Dinner was followed by a campfire. The scenery felt as if it had been taken out of one of those camp movies from childhood. 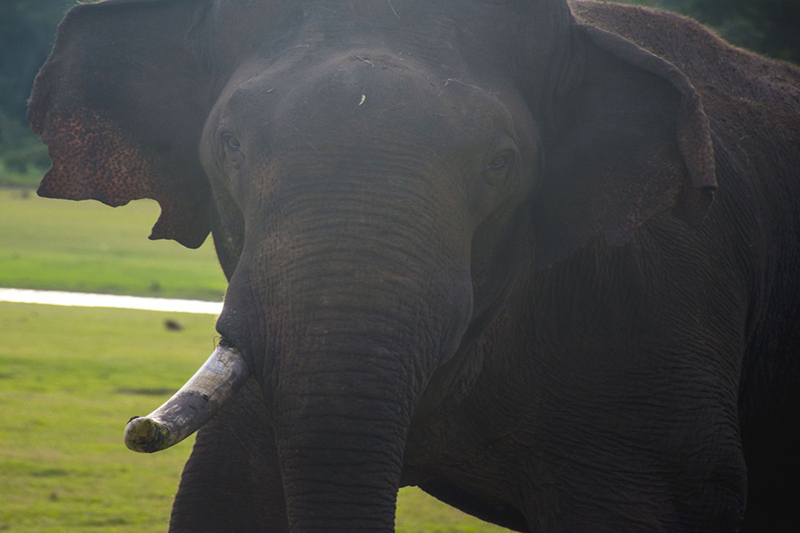 This entry was posted in Blog and tagged elephants, JWWIndia, Kabini River Lodge, langur, Nagarhole. Bookmark the permalink.